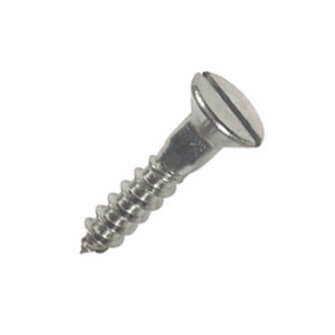 Wood screw with slot head manufactured from 304 grade stainless steel (A2-AISI). Suitable for interior applications only. Exactly what we needed for the handles we bought. As described, did the job perfectly.